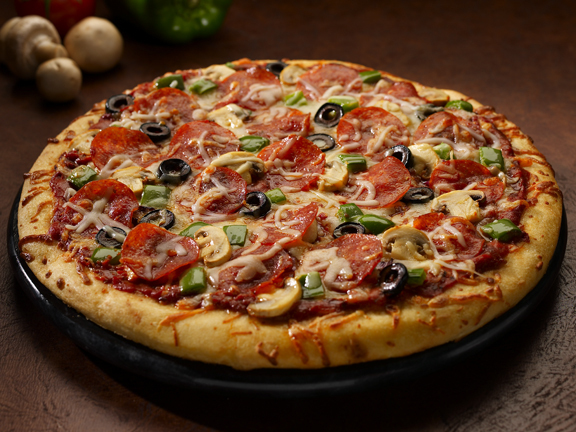 Preheat oven to 450° F. Spread marinara sauce onto crust; layer pepperoni, mushrooms, peppers, and black olives. Then top with mozzarella, cheddar, and Parmesan. Bake until cheese is melted or about 10 minutes.